This was a bit of an emergency buy – I needed something to read on my flight back from Heraklion airport. 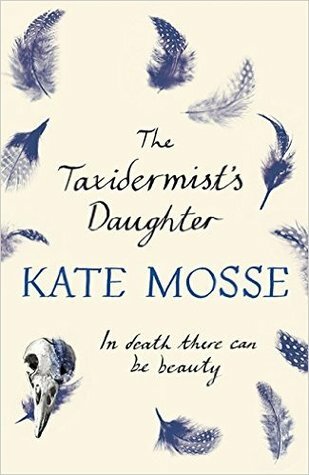 To be honest, I wouldn’t have chosen it under other circumstances – the blurb is pretty compelling, but I’ve been burned by Kate Mosse before. Labyrinth was an interesting historical narrative with thrilling moments, which made a fairly good TV movie (despite a gratuitously naked Jessica Brown Findlay). However, she never explained what the actual mystery of the Grail was, to the point where I could no longer care why all the characters were interested in it. Sepulchre was just bad. Why taxidermy? It fitted with the macabre nature of the story, but it didn’t reveal anything about the characters nor was it crucial to the plot. The protagonist was largely well-written, I did believe that she was a single Edwardian woman, unhappy with her lot in the world and chafing at male oppression, without being a modern feminist shoehorned into a distinctly historical setting. However, it begged belief that someone so capable would simply not just ask her father what was going on and demand an answer. If I’d been her editor, I’d have cut out some of those characters. Some were pointless, verging on irritating. I’d also have cut out some of the words she used. I’m a big believer in brevity in writing – save the purple prose for describing something dramatic or wonderful, not how someone walked to the kitchen. The final plot twist was just confusing – all the characters had been pretty clear that a certain event had happened. Now, having it happen differently, having the characters be mistaken, and have those mistakes compounded by lies and manipulation was a good twist. But it was executed really badly, and ended up just leaving me confused and uneasy. All in all, it was a good read and I could see a certain demographic of reader really loving it.